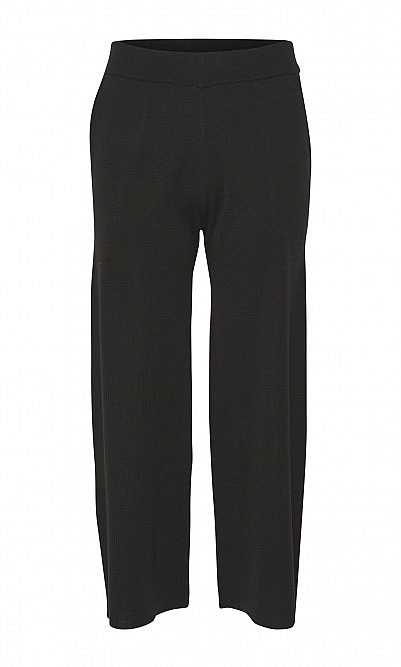 High-rise knitted pants cut straight and cropped in the leg with rebellious zipped side vents. Seam pockets. Inside leg L65cm. Wool/acrylic mix.